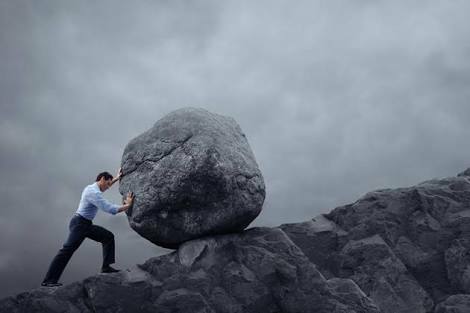 Struggling – a word perhaps which does not need any kind of introduction. At some point in life, each one of us has experienced this feeling. And of course, we take pride in describing the struggles we have gone through in life. We have those countless struggling stories which we share with our friends, colleagues and even with our children, grandchildren. In the society, one who has struggled is an example that everything comes with a lot of struggle in life as well as action during such crisis. During this period of struggle, we say it is my FATE to struggle. So now the question is how does struggling become our fate? Were we destined for such a fate? Or is there any way we can come out of this situation. Well, we feel that this struggling time robs us of our innocence, inner peace and belief in ourselves or life in total. Do we really need to struggle in life or is there is a better solution to this global issue? Yes, there is a simple solution to this global issue. But, it does involve getting our EGO down to the ground. It is simple – we just need to turn inward and say I accept this situation as it is and I let go of the victim hood. You heard it right. Victim hood has somewhere formed deep roots in our DNA and our family system. And this is because with struggle comes victimised feeling which robs you away from seeing the bigger picture, rather it puts you into a subtler ego game where you involve yourself into self – sympathy. Now is the time to look into ourselves and locate these victim hood feelings. Silently, in your heart say – I accept my life as it is and I accept my fate as it is. The moment you do this, you are taking the first step of setting yourself free and also ready to look at what life has to offer you. Remember, life has infinite possibilities to offer, it is up to us when do we want to take them. Doing this simple step will open your heart and help you explore the infinite which is waiting for you! Hi your articles are very simplistic, easy to follow and real eye openers. Keep writing! Thank u for the boost!